Borussia Monchengladbach and Eintracht Frankfurt tied 1-1 today in the German Bundesliga Sunday's fixture. Luka Jovic is 21-year old Serbian striker and with his excellent performance in the Bundesliga is already linked to a big move to Barcelona. The Wolves coach Bruno Labbadia says the 3-0 result doesn't reflect what happened on the field, where his team struggles to get the victory. The German Bundesliga team tied 0-0 with Freiburg today after Suat Serdard was sent off at the 42nd minute. CEO Karl-Heinz Rummenigge confessed he has no idea what is around the corner for Franck Ribery's Bayern Munich future. 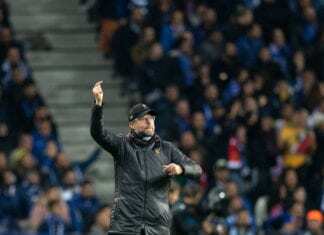 Niko Kovac warned Bayern Munich they must cut out their defensive errors if they are to contain Liverpool's attacking threat in their upcoming Champions League clash. President Uli Hoeness revealed that Bayern Munich had contemplated in hiring Jurgen Klopp to be their manager in 2008. Borussia Monchengladbach midfielder Florian Neuhaus would put his money on Bayern Munich topping Borussia Dortmund for this season's Bundesliga title. Eintracht Frankfurt striker Luka Jovic is flattered by reports linking him with moves to Spain and England. Teenage star Jadon Sancho hopes to one day get the crowd raving over his performances in a similar way to that of Ronaldinho. Manager Niko Kovac confirmed that Manuel Neuer could be back in goal for Friday's trip to FC Augsburg in the Bundesliga. The former Manchester City youth has been enjoying the last two weeks with Schalke in the German Bundesliga.